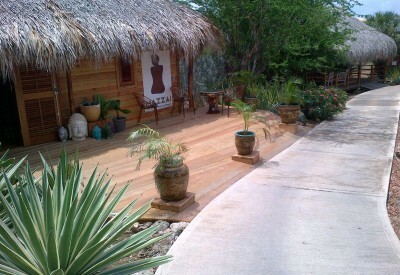 You can find this spa at the Morena Resort on Curacao. Mazzai Spa is truly an oasis. Their friendly employees give this small scale spa a warm atmosphere. Before your treatment fish nibble at your feet giving your skin a soothing boost. They offer individual massages, couples massages, body scrubs, facials, manicures & pedicures, and after your massage you can sit back and relax at the resort’s pool giving you a full day of rest and relaxation.